The aria "O Mio Babbino Caro" from the opera "Gianni Schicchi" by Giacomo Puccini is a piece of music we will never get bored with. One of the composer's later operas, "Gianni Schicchi" is based on an incident mentioned in Dante's Divine Comedy and the aria "O Mio Babbino Caro" is one of the most famous among all Puccini operas. 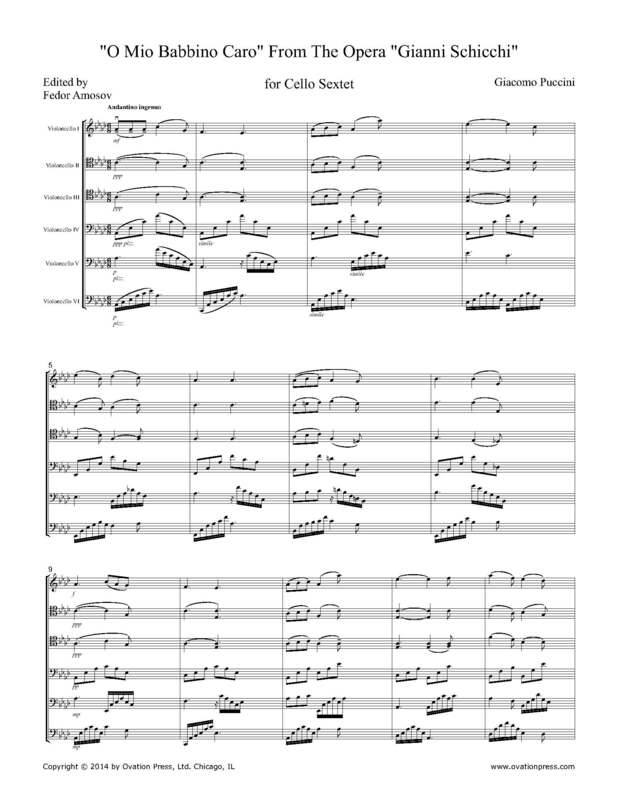 This particular arrangement was written due to my endless love of Puccini's music and for the debut concert of a newly formed Cleveland Institute of Music Cello Ensemble.